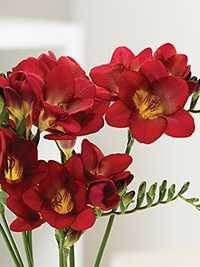 A deep burgundy/wine red single freesia. Great as a commercial cut flower variety. Fragrant, 40cm.